Content: 1 Packet (12 Oz). 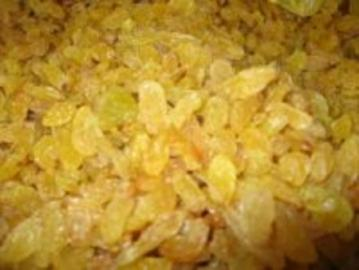 Our golden raisins (aka Kisamis in hindi) are imported from India. Ideal as snack or garnishing your favorite dishes like kheer or savai. Try them with our cashew for a nutritous treat. Store in refrigerator and serve at room temperature. This item in Indian Dry Fruits category was first added to our catalog on 05-01-2013. Buy Golden Raisins (Kisamis), 12 Oz Pack, sold & shipped by Bengali Sweet House where you can shop online for Quality Indian Sweets, Snacks & Gift Baskets Shop - Bengali Sweet House. This Dry Fruits/Nuts collection has been tagged as kismis, healthy snacks, nuts, indian dry fruits.